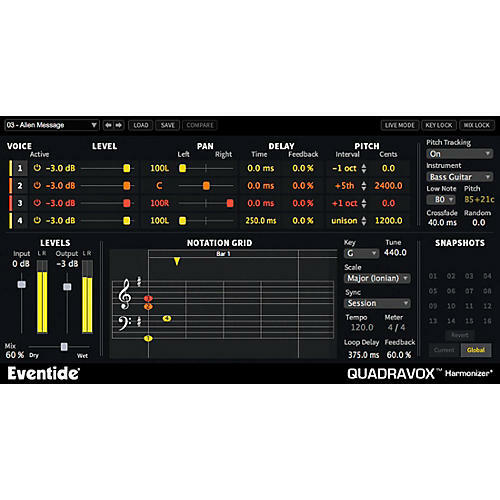 Quadravox controls are intuitive, allowing you to quickly adjust parameters or type in values. Each of the four voices can be independently manipulated by level, panning, delay time with feedback and pitch, including the type of musical interval. The effect can even be sync’d to your DAW tempo for killer, melodic, rhythmic delays.